Cell phones – 91% of us have them. Cell phones are a modern marvel defying most of us to com close to fully understand how they function. They are truly highly complex “mini computers” containing vast amounts of personal information that should remain private and well away from the eyes of law enforcement. Recently the United States Supreme Court has been asked – in the case of Riley vs California – to set the standard for searches “incident to arrest” involving the seizure – but much more importantly – the search of the contents of cell phones. A petition to the Supreme Court asks the court to clarify whether – and under what conditions – law enforcement may access the massive amounts of personal information on all of our cell phones without a search warrant. In Riley – the police in the State of California made an legal arrest and “incident to that arrest” seized a cell phone. Officers searched the contents of the cell phone twice. Officers searched the phone at the scene of the arrest, and then again several hours later, at police headquarters. I submit that the better reasoned authority holds that a search of a cell phone violates the Fourth Amendment unless it is performed with a warrant or under an exception to the warrant requirement such as an exigency otherwise justifying the search. The accepted reasoning for permitting a warrantless search – to this point – has been what has come to be known as the Fourth Amendment’s search-incident-to-arrest doctrine. This doctrine permits the police to search a cell phone whenever the phone is “immediately associated with [the arrestee’s] person” at the time of the arrest. Until now the legal framework for analysis of the “search-incident-to-arrest exception” to the Fourth Amendment warrant requirement was based on the vase of Chimel v. California, 395 U.S. 752 (1969). In Chimel the United States Supreme Court held that in order to “seize weapons and to prevent the destruction of evidence,” the Fourth Amendment permits police officers to search “the arrestee’s person” and “the area into which an arrestee might reach” while being arrested. The Supreme Court’s search-incident-to- arrest jurisprudence” was based on a thinking that is now decades old and well before the digital era. Today – the genius of cell phones provide access to a vast amounts of highly personal data, and these devices are far from the physical containers addressed on the post Chimel cases. Today individuals carry exponentially larger quantities of personal information on their person than they ever could before the creation of cell phones. At the time of the traditional search incident to arrest -eith the push of a button – private and confidential information such as medical records, banking activity, and work-related emails become assessable. In 2010 alone, there were nearly 11.5 million total adult arrests. Most of these arrests were based on the most minor of legal infractions such as a violation of a traffic code offense. Nearly all of these arrests – the arresstee carried a cell phone. 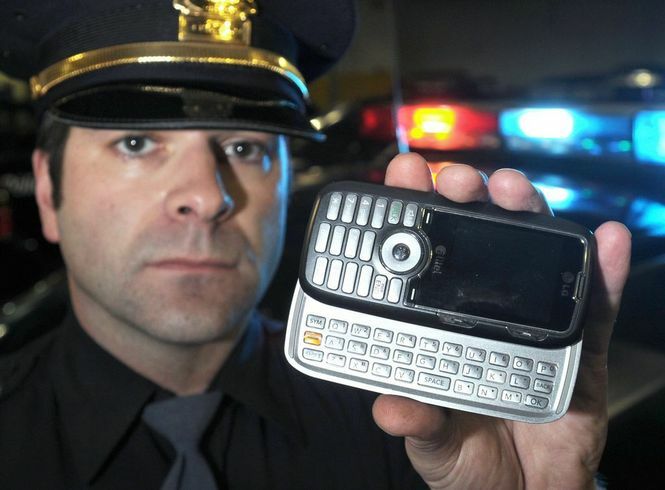 An answer to this question – can the police search a cell phone at the time of a routine arrest..is critical. In Colorado – the answer is ambiguous at best. Our Colorado courts have split the reasoning in a way that satisfies no one. Here is a LINK to a recently written article I drafted on this subject. The Fourth Amendment Prohibits Searching The Digital Contents Of A Cell Phone Incident To Arrest. While our forefathers could never have dreamed of the technical advances we have seen in the last two centuries – we are charged with trying to understand how they would have viewed such advances. When a cell phone is securely in police control the Chimel exception should not apply. “If there is no possibility” that the arrestee could gain access to a weapon or destroy evidence, “both justifications for the search-incident-to-arrest exception are absent and the rule does not apply.” Arizona v. Gant, (2009). 1. He can turn off the phone. 2. He can put it in airplane mode. 3. Or he can place it in an inexpensive bag that prevents any signals from entering or escaping. Tagged: "Cell Phone Searches and Searches Incident To Arrest"